It’s been just over seven years since the Rapture and almost exactly seven years since Antichrist’s covenant with Israel. 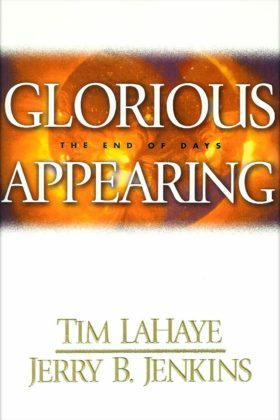 Believers look to the heavens for the Glorious Appearing of Christ. Book 12 in the Left Behind end-times thriller series, by Time LaHaye and Jerry B. Jenkins. Antichrist has assembled the armies of the world in the Valley of Megiddo for what he believes will be his ultimate triumph of the ages. With a victory here he would ascend to the throne of God. The Tribulation Force has migrated to the Middle East, most ensconced at Petra with the Jewish Remnant, now more than a million strong. But only one of the four original members of the Force remains alive, and he is near death. Jerusalem is falling to the Global Community’s Unity Army, and Tsion Ben-Judah has been slain. Few in Petra know of his loss, and both Rayford Steele and Buck Williams are unaccounted for. It’s been just over seven years since the Rapture and almost exactly seven years since Antichrist’s covenant with Israel. 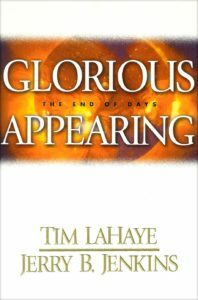 Believers look to the heavens for the Glorious Appearing of Christ, as the world stands on the brink of the end of time. Book 12 in the Left Behind end-times thriller series, by Time LaHaye and Jerry B. Jenkins.